By commenting on an article, you agree to abide by our community guidelines. 1. Redbrick aims to create a platform for debate and discussion in all posts. We want people to express opinions on all contributions. However we will not tolerate personal attacks on our contributors or community members. We welcome intelligent debate, but we will not entertain examples of cyber-bullying on any aspect of our content. 2. Threatening and offensive language has no place in real life, nor does it have a place on the internet, and in particular, our website. Any language deemed to be threatening or offensive will not be tolerated in our community. 3. We will not tolerate any sexism, racism, homophobia or any other form of hate-speech. 4. 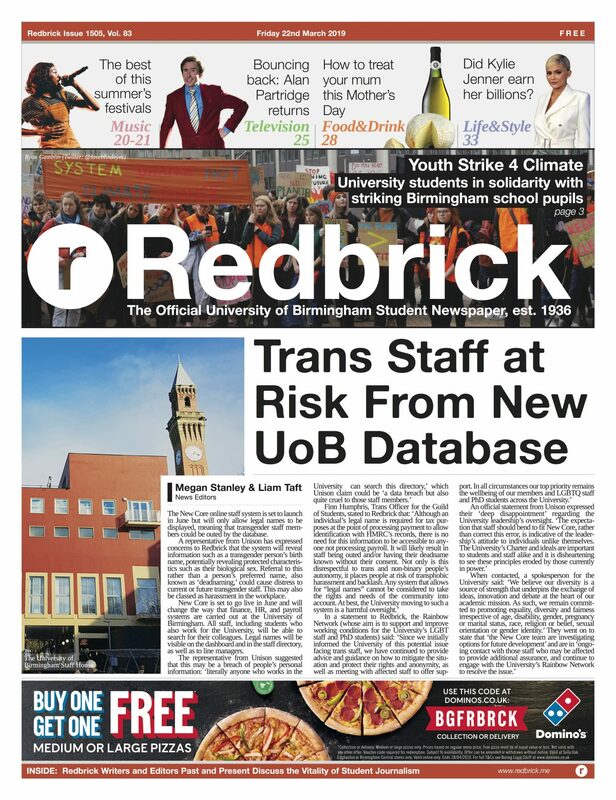 We reserve the right to remove content posted by anyone which the Committee of Redbrick deems to be defamatory. Every member of the Committee receives targeted legal training and thus will use this knowledge in determining whether or not content is defamatory. 5. Redbrick is an autonomous, non-partisan, apolitical publication and will not tolerate anyone hijacking opportunities of discussion for the purposes of commercial advertising or spam. 6. We believe that while debate must be open and free, discussion on particular content should be kept relevant to the subject matter. We reserve the right to remove contributions from the community which violates this Code of Conduct. We believe that this does not impede on your freedom of expression. The welfare of our community is of paramount importance to Redbrick. All our contributors are volunteers, and should not be treated as though they take a salary. We advise that if you feel strongly about a particular issue, you consider carefully how best to phrase what you want to say. The written word is not able to convey tone in the same way as speech. While we accept that this is obvious, it is a sad state of affairs that a considerable amount of people forget this before they publish their views on the internet. If you have any questions, please direct them to questions@redbrick.me or you can write a letter to the editors.